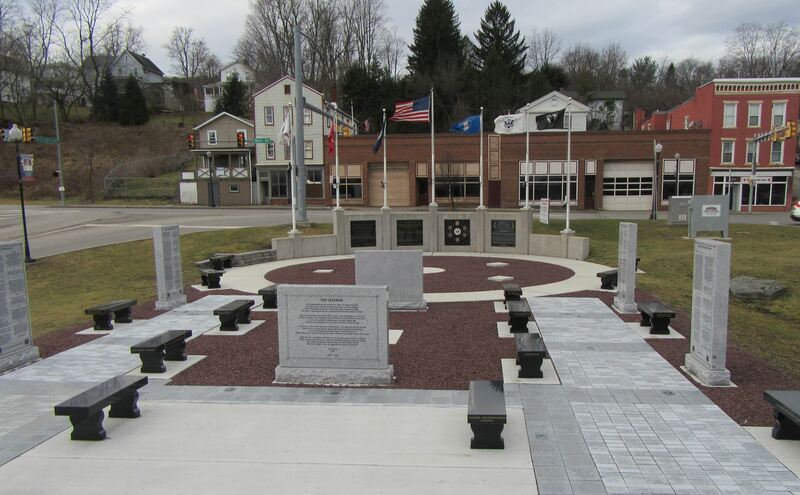 An extremely mild winter allowed grass to grow around Bradford County Veterans Memorial Park in Towanda after the paver-brick walkway and benches were installed in the fall. The final phase of construction is underway, but one critical element is threatened by a lack of funding. 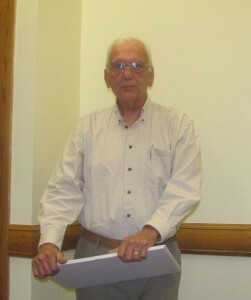 Bradford County Veterans Memorial Park Association founder, Joe Doherty, has put more than five years of his heart and soul into the construction of a park to honor military veterans next to the Veterans Memorial Bridge at Towanda that connects the county seat with Wysox Township and beyond via US Route 6. By-and-large, the community has been very supportive, but the project lacks the necessary funds to put it over the top – meaning, literally, to purchase and erect an iron-frame rotunda planned for the center of the park. The show-piece illustrated in blueprints shared by the Association since the inception of the project may not be in place in time for its official dedication during the upcoming Independence Day weekend. “The design, cost analysis and fabrication of the rotunda seem to be stuck in some dark file which nobody wishes to look at,” Doherty expressed in a recent eBlast. Meanwhile, all of the granite sidewalk pavers have been installed and look wonderful. Benches resembling black marble have also been set in place, with just one bench left to market. Doherty (above) has not given up on the rotunda, which I believe is needed to really catch the eye of motorists who might literally be passing through Towanda on their ways somewhere farther east or west. If they don’t stop this year, perhaps that vision will make them think of Towanda as a destination quick-stop next year that could lead to longer stops. The celebration will be bittersweet, as Doherty expects to step down from his leadership role in the initiative. This park is already such an incredible addition to the entrance of Towanda from the east, and from the wraparound to Route 6 off the Merrill Parkway. Just imagine what the rotunda and statuary will add to that and ask your employers, churches, and civic groups to contribute toward its absolute completion. I’ve been following this project since its inception. It has progressed in spite of the odds many times. Now is the time to wrap up this incredible endeavor and allow Joe the retirement he so richly deserves while providing future generations of Bradford County and beyond a living legacy to their friends and family members who risked all for the security of the nation. 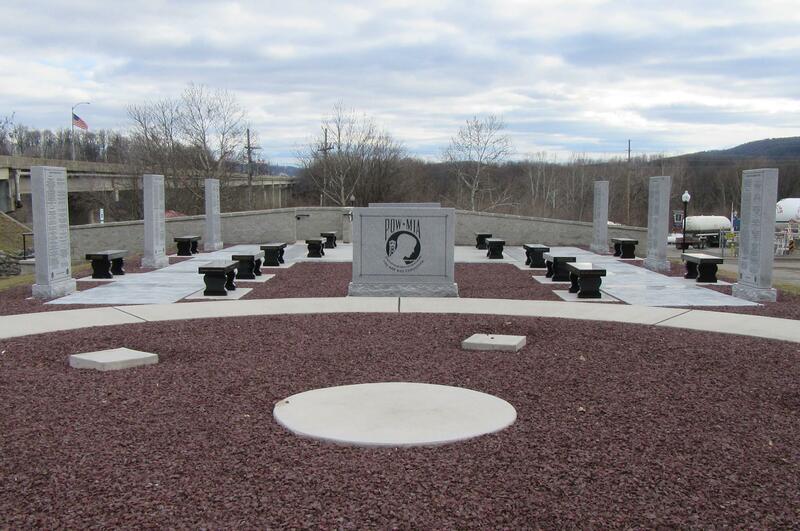 Support of bipartisan efforts such as the Bradford County Veterans Memorial Park during such politically tumultuous times makes more sense to me than following endless debates and media polls to just another decision that’s really up to you.